The farm bill has been in conference committee for months, with the sticking points being stricter work requirements for federal food aid and a last-minute request from the White House to change forestry rules in the wake of the deadly wildfires in California. Congress blew past the Sept. 30 expiration date of the last farm bill and didn’t pass a stopgap measure. The overall cost is expected to be $867 billion over 10 years, and the Congressional Budget Office said it would "increase direct spending by $1.8 billion and revenues by $35 million" over a five-year period starting in 2019. Senate Agriculture Committee leader Pat Roberts, a Kansas Republican, told Harvest Public Media that the bill will "enable producers certainty and predictability and for them to go to their lender and say 'We're good' for the next five years." Collin Peterson, the ranking Democrat on the House Ag Committee, said in a statement that it invests in things like "local and organic food production, bioenergy, and access to new markets." Here’s a breakdown of the main components of the bill, which President Donald Trump signed before the 2018 congressisonal session ended. The federal food aid program for nearly 40 million Americans was the main thing holding up the final round of negotiations on the farm bill. The compromise bill is closer to the Senate’s version than the House’s version, which would have required 3.5 million more adults to maintain eligibility for SNAP by either working 20 hours per week or attending job training. Currently, only so-called able-bodied adults without dependents (ABAWDs) from 18 to 49 years old fall under those work requirements. Harvest reported earlier this year that the House's proposal would have upped the age to 59 years old and added parents of children over 6 years old. Republicans said extending work requirements would push more people into the job market, and the changes had Trump's support. But it appeared to be a political necessity to remove them from the farm bill, as Senate Democrats had made it clear they would block the bill if the work requirements were included. It’ll create a “National Accuracy Clearinghouse” database to prevent people from signing up for SNAP in multiple states at the same time. There'll be more money for workforce development programs for SNAP recipients. States will be required to beef up case management in work programs. The USDA will be directed to expand incentives to spend SNAP benefits on nutritious foods. The White House also threw its support behind a proposal in the House version of the bill that would allow forest-thinning projects up to 6,000 acres to be exempted from the usual public input and environmental review. “Heretofore, we've been really litigated into paralysis about being able to do the common-sense thinning and underbrush cleaning that needs to happen to prevent these amazing, awesome forest fires,” Agriculture Secretary Sonny Perdue told NPR’s Morning Edition on Nov. 21. But the idea was opposed by Senate Democrats on the conference committee and environmental groups, such as the Sierra Club, arguing that the exemptions favored the timber industry at the expense of wildlife and endangered species. The compromise farm bill instead allows forest thinning and salvage projects up to 3,000 acres to proceed without public review in cases of disease and infestation. Projects up to 4,500 acres aimed at clearing vegetation to maintain mule deer and sage grouse habitat also are exempted from public review rules. The bill increased the amount of land the government is willing to pay farmers to set aside for conservation, but the House and Senate did disagree on other parts of the conservation section — how to deal with fast-increasing costs of conservation programs that are supposed to spur environmentally friendly farming practices. There’ll be an increase in the amount of land eligible for the Conservation Reserve Program, which pays farmers for taking environmentally sensitive farmland out of production. The acreage cap would climb from 24 million acres to about 27 million acres between 2019 and 2023. As of July 2018, 22.64 million acres were enrolled in the program. The Conservation Stewardship Program, which pays farmers to use conservation-minded practices like cover crops and field rotation, was not fully eliminated, but its funding was cut. At the same time, there will be increasing payments to the Environmental Quality Incentives Program (EQIP), which incentivizes similar practices through a different method. That would start at $1.75 billion in 2019, increasing to $2.025 billion by 2023. A pilot program will try to help eradicate feral hogs. That is, to help local efforts, the government will match up to 75 percent of the cost of capture and eradication where the swine are causing harm to agriculture, nature or people. As much as $75 million can be use for the program over the next five years. Senate Majority Leader Mitch McConnell, R-Kentucky, made it clear from the get-go: It was time to legalize hemp. His wish didn’t see much pushback, as at least 35 states already allow the cultivation of hemp. Legalizing hemp growing means the crop would be removed the list of controlled substances, where currently it’s lumped in alongside drugs like heroin. 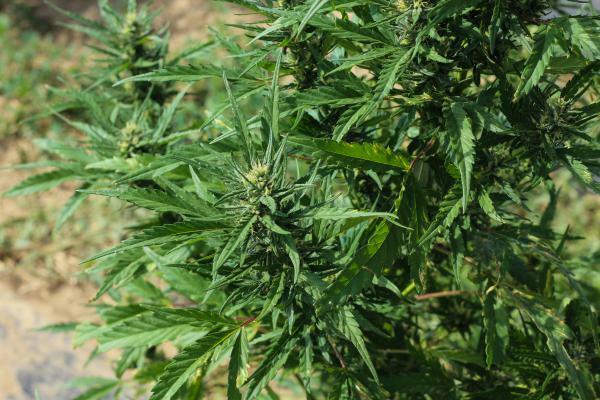 Unlike its close cousin, marijuana, hemp contains very little THC — and it has lots of industrial applications, from textiles to construction materials and livestock feed. It’s also made into CBD oil, or cannabidiol: a tincture that’s become increasingly popular for medicinal use despite a debate over its effectiveness. The growing CBD industry is estimated to be worth $22 billion by 2022. Hemp will be removed from the list of controlled substances, and defined as all of the plant plus the seeds and extracts, as long as they contain no more than 0.3 percent THC (or Delta-9 tetrahydrocannabinol) on a dry-weight basis. States will have control over regulating hemp cultivation. Hemp growers in states that currently permit its cultivation, thanks to the 2014 farm bill, will be able to transport the product over state lines. Growers will have access to federal crop insurance, but are excluded from other federal safety-net programs because hemp will not be considered a widely produced and traded commodity like corn or soybeans. Certain crop insurance premiums for farmers will still be subsidized, as well as some of the expenses incurred by private companies that underwrite the policies. The House and Senate versions of the crop insurance title were very similar, so it didn’t generate big controversies. Crop insurance will remain the primary safety net for most farmers, as established in the 2014 farm bill. The Price Loss Coverage and Agriculture Risk Coverage programs remain substantially the same but signing up for them has changed. Under the 2014 bill, farmers had to choose one program and commit to it for the life of the farm bill. Now, they will be able to select a program each year. Subsidies will be available to extended family members: first cousins, nieces and nephews. And stricter rules around who is eligible to receive farm program payments, which were heralded by Iowa Republican Sen. Chuck Grassley, did not make it in. He said Tuesday morning that he plans to vote against the bill, like he did in 2014, because of that. It’s also important to note that while the farm bill can modify crop insurance, the overall program is managed through a separate federal law. This story has been corrected to show that the Conservation Stewardship Program was not cut, but had much of its funding stripped. For more information about what's in the farm bill, listen to NET Nebraska's podcast On the Table. Follow Grant on Twitter: @ggerlock. Follow Esther on Twitter: @estherhonig. Follow Amy on Twitter: @agamyinames. Follow Madelyn on Twitter: @madelynbeck8. Follow Jonathan on Twitter: @JonathanAhl. Congressman Darin LaHood (R-IL) said he is trying to educate his urban counterparts about rural issues ahead of a vote on the next Farm Bill.